A smart set of cufflinks by BOSS, crafted from brass. 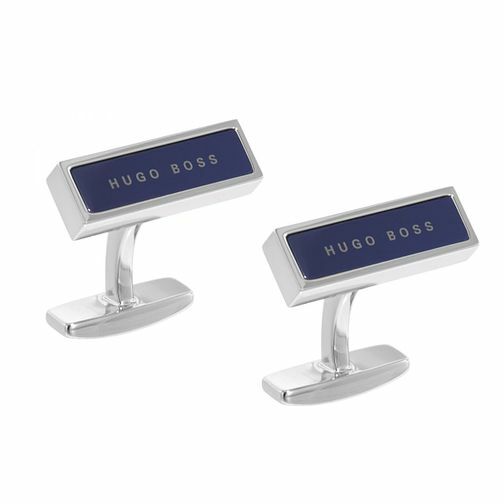 Sleek silver tone rectangles are embellished with navy enamel presenting the BOSS signature logo. The ideal sophisticated finishing accessory for everyday or formal shirts.